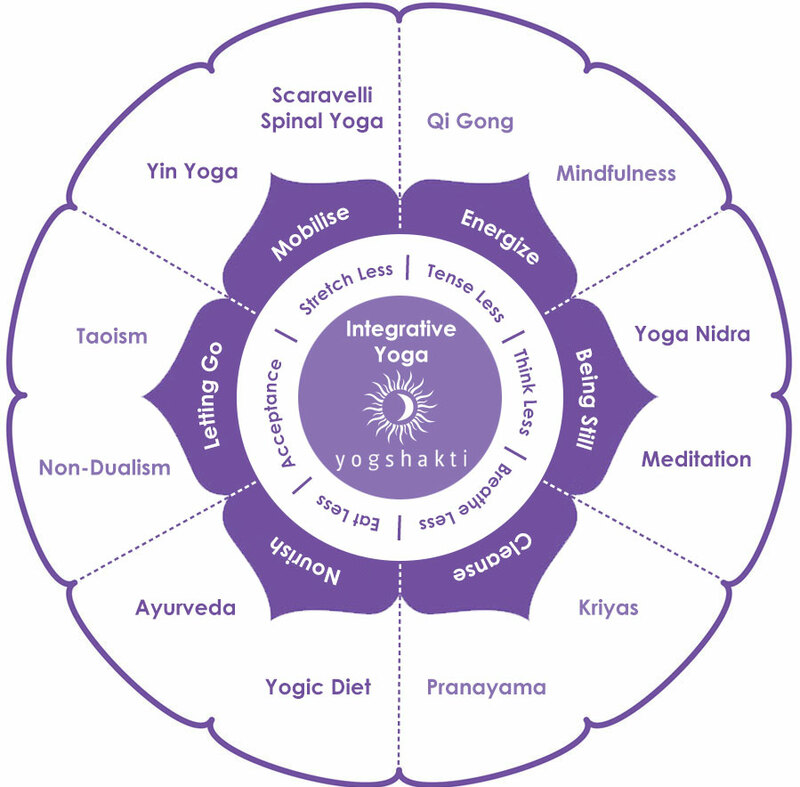 Integrative Yoga is a synthesis of the teachings of the Himalayan tradition of Swami Rama; the Intuitive Yoga of spinal freedom inspired by Vanda Scaraveli; Yin Yoga; the Zen Mindfulness teachings of Thich Nhat Hanh and the philosophy of non-dualism of Taoism and Advaita Vedanta. It also draws from the timeless eastern practices of, Taichi & Qigong inspired by the system of Calligraphy Health of Master Yang Mian and the fluid spinal practices of the Yoga Synergy method. Integrative Yoga is about ‘yielding’ or ‘letting go’ in movement to make ‘space’ for the vast, ever present intelligence within. This leads to relaxation of effort in which there is freedom from tension, pushing, pulling or forcing. In the practice, we experience balance between doing and being, effort and effortlessness. The practice is based on that which the yogis have been pointing to since eons – You already are that which you seek. With the dropping of ‘doing’ one naturally experiences one’s ‘BEingness’. To BE means to abide in our true nature, to the source within, to the silent witnessing presence within, which has always been there, is there and will always be there.